Recycle Bin has this great ability to sort by the date deleted. Like a real trash can, the stuff you threw away last is on top. Today we’re bringing that ability to Outlook – and not just for the trash. This tip has more than one application. For example, I treat my email like a triage: everything hits The One True Ordained Inbox (no giant folder hierarchy and mess of rules for me), and I triage it there. Everything crosses my eyes, and I may act on it (do it), defer it, delegate it, delete it, or archive it. That’s the only options. If it’s being kept for later it goes to my archive folder. While I strive to maintain Inbox Zero, it usually hovers between 5 and 10 messages. Often an email will stay for a few weeks as a to-do task (if I didn’t defer it by creating a task reminder), but eventually I will archive the message. 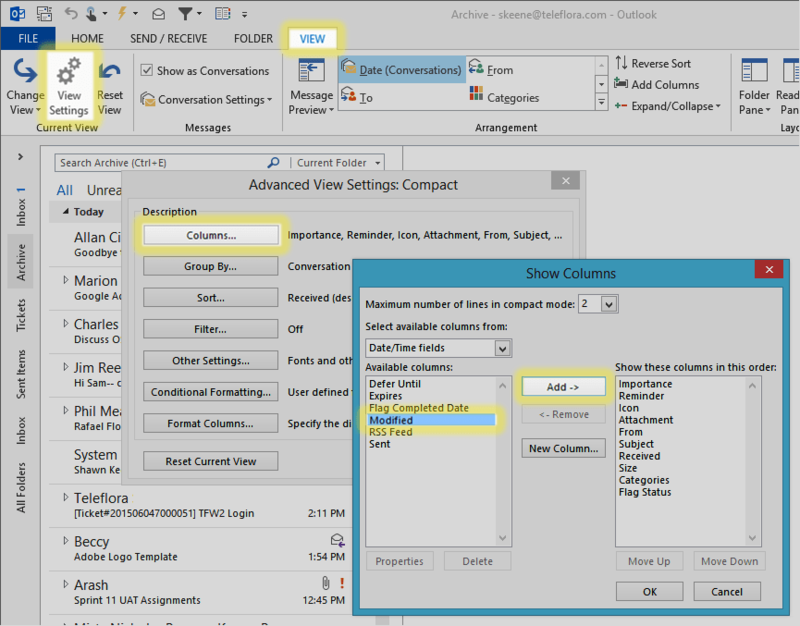 The Outlook conversation view can be expanded in-place to display messages in the reply string, even if they are located in another folder. Learn how in Be More Conversational With Your Email. Normally at this point, my best hope of finding it again is by searching. And indeed that’s what I usually do if the need arises, but if someone replies on the same string again, I don’t need to go back to another folder because I made my Outlook conversation view includes messages I already moved to other folders. But what if I need to go back digging? 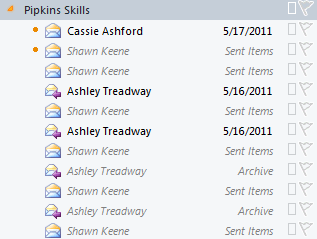 Opening my Archive folder shows all the messages by date they were received. Heck, I don’t know when I received that, it’s been in my inbox for weeks, but I just now archived it. So, let’s get the archive to work like a real pile of papers: show the new ones on top, based on when I put it there. From the folder you want to see, click the View tab, then View Settings. Click Columns, then in the Date/Time category, add the Modified column to the view, and click OK.
Now Click the Sort button, and set it to sort by Modified descending to show newest first. 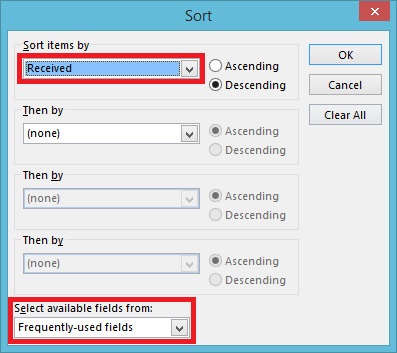 If you don’t see the Modified option in the sort box, set the selection category to Date/Time at the “select available fields from” box at the bottom first. This works because Outlook items are really just database objects, and moving an item to a new folder is actually just modifying the property of that object (just like Gmail labels, but limited to only one at a time). This works great with another great cheap trick to make Outlook work more like Gmail with an archive button. Happy triaging folks.